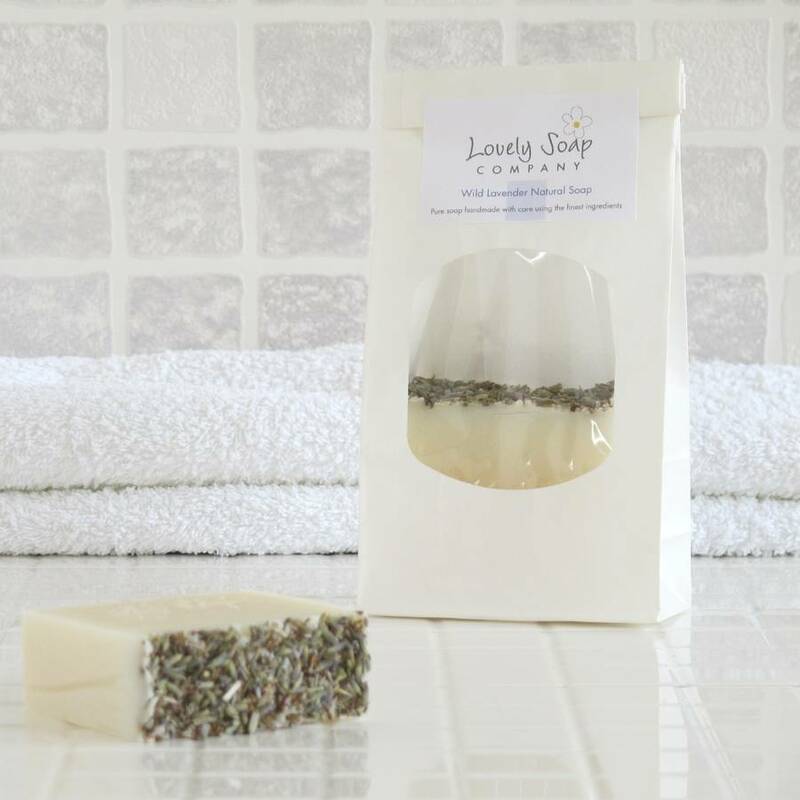 Our Wild Lavender handmade natural soap is a very gentle and mild luxury soap made with care using only the finest ingredients..
We've chosen luxurious skin-nourishing oils for our Wild Lavender artisan soap, mixing together olive, coconut, and sustainable palm oils. Then we've added soothing apricot kernal oil and scented the mix with pure lavender essential oil which we chose for its calming, relaxing scent. 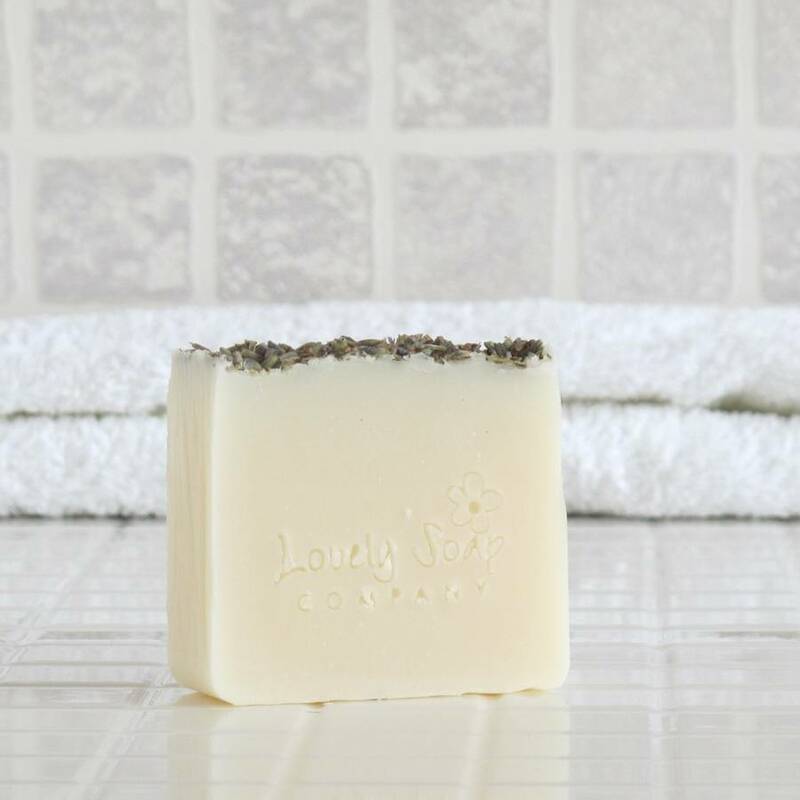 To add a luxurious touch we've finished by adding a sprinkling of lavender buds on the top. Makes a lovely present for any occasion especially a thank you gift for a bridesmaid or a favourite teacher. All our products have been fully safety tested by a Cosmetic Chemist and comply with current EU legislation and regulations. We are also proud members of the Guild of Craft Soap & Toiletry Makers. None of our soaps, or the ingredients we use, are tested on animals. We prefer to test our products on willing humans! 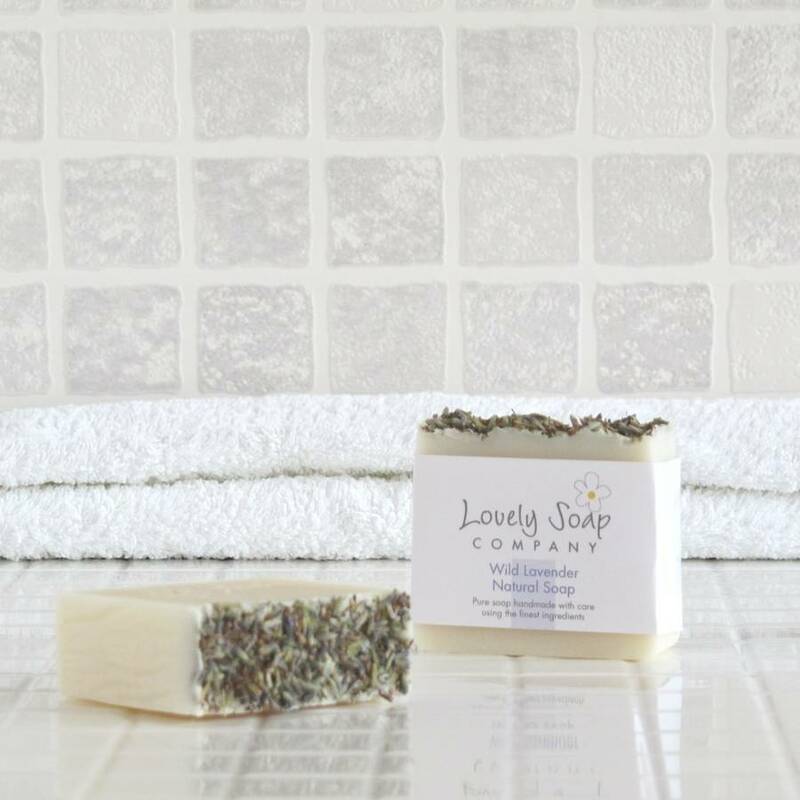 All our artisan soaps are handmade with love and care by the traditional cold process method using vegetable oils, essential oils, botanicals, natural clays and colourings. No SLS, no parabens, no synthetic fragrances. 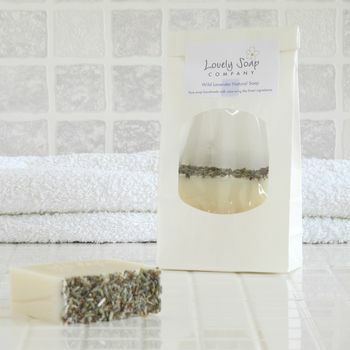 This product is dispatched to you by Lovely Soap Company.